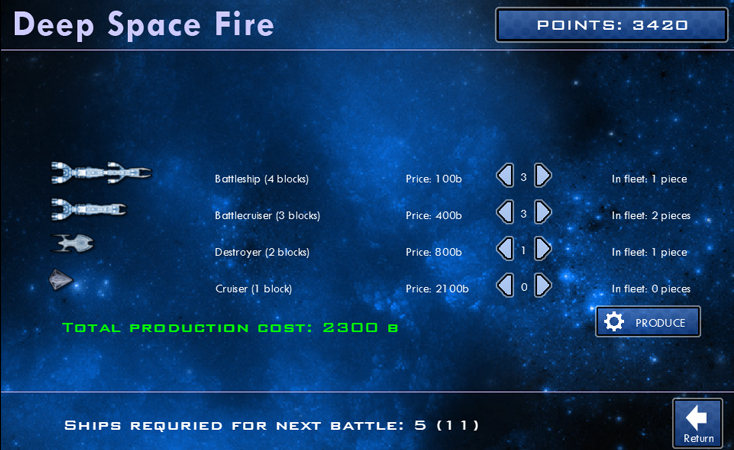 Deep Space Fire is a game based on a popular board game called Battleship, for two players. Build your own fleet of ships and fight against a computer-controlled enemy in ten epic battles! Each player has their own board, which they populate with ships. The ships can be rotated in 2 ways, but they cannot touch each other. 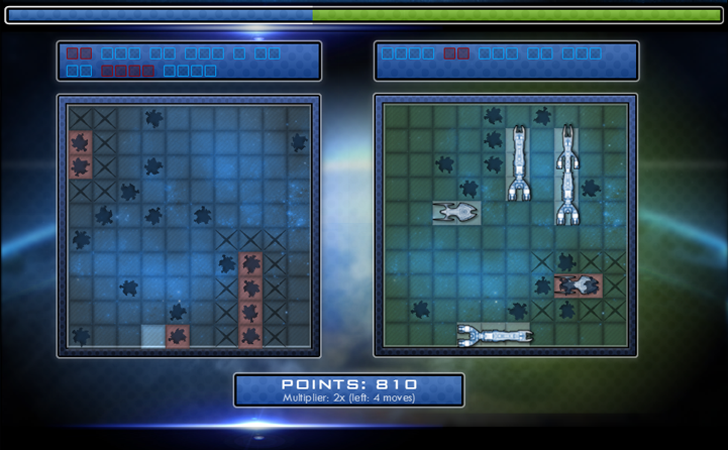 The point of the game is to select a block on the enemy board, and destroy all enemy ships before they destroy yours. If a player does not hit a ship, the opponent tries next, otherwise the player gets a chance to do the next move immediately. The player who destroys all of the opponent's ships wins. Deep Space Fire offers several improvements of the original concept. 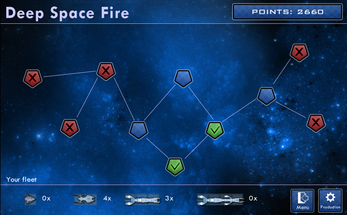 For each won battle, you gain points which you can invest into expanding your fleet, which will help you in the next battle. The objective is to take over 10 enemy territories, while maintaining enough points to produce ships for your fleet. To play the game, simply extract it and run DeepSpaceFire.exe. No installers! The game is available in two languages, English and Czech.